One of the most common problems DERMagic resolves is hair loss in pets. Not only can this be a frustrating condition, it is miserable for pets and their owners. Hair loss is one of the most difficult to treat ailments, but not if you’re using DERMagic! 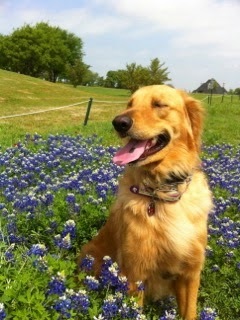 This is part of an email we received from a man who recently used our products on his golden retriever, Lucy Lu. 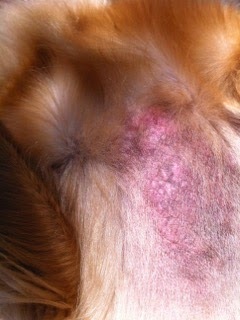 Lucy Lu suffered from Alopecia X for over a year before Doug found our products. We think that the photos speak loudly enough for everyone. 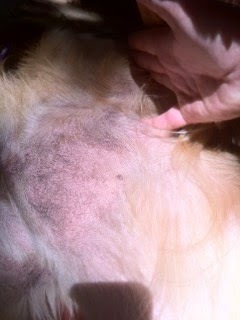 After six months of closely following your program(the cream, lotion and shampoo) her chest hair has fully grown back and to date she has no remission to Alopecia X.